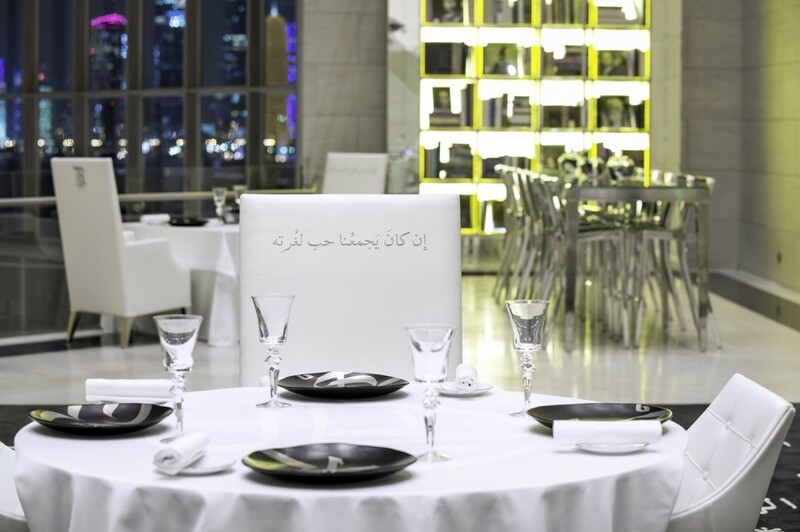 The grand opening of IDAM, the Middle East’s new flagship restaurant for Haute Cuisine. For 25 years, Alain Ducasse, the ‘architect of flavours’, has been striving to reveal new tastes and experiences for his patrons. And now, for his first venture in the Middle East, he brings you IDAM, a bespoke dining experience defined by freedom of emotions and passion, but also of rigour, sobriety and method. “Here’s a chef whose passion for the most refined cuisine transcends the kitchen and pushes him to reach out and translate his ideas into entire restaurants,” said Aisha Al Khater, Director of the Museum of Islamic Art. He and his team source the finest ingredients – from the modest vegetable garden to the sumptuous fruits of the sea – for the pleasure of the senses. Together, they have worked to create an inspirational cuisine, respectful of the environment, that transforms the fine dining experience in the region. Striving to create unique restaurants, Alain Ducasse welcomed the ambition of Qatar in becoming a global leader in culture, arts and heritage. Located in Doha’s Museum of Islamic Art, Alain Ducasse’s IDAM is housed in one of Qatar’s most iconic landmarks, an environment combining tradition and modernity. This respect for nature with an eye to progression is evidenced by Ducasse’s decision to use Qatar’s own farms for fresh organic supply, supporting both the notions of sustainability and local agriculture. Together with Executive Chef Romain Meder, Alain Ducasse presents a sophisticated menu of original creations. They include delicate chestnut soup, crayfish and halloumi royale; tender octopus with potatoes lightly flavoured with saffron; chamba of local fish and soft/crunchy Egyptian rice; seared line-caught red snapper and Omani shellfish; tender camel with duck foie gras truffle and souffléd potatoes; and Awais lamb with beetroot, curly kale and pumpkin. Alain Ducasse’s signature Cookpot dish comprises seven vegetables lightly spiced, promising a unique, palate-pleasing creation. Desserts also form an essential part of the menu, from the chocolate and honey shortbread with saffron and pine nuts to the milk pastilla and green tea/mint granite. Meanwhile, rhubarb, raspberry and beetroot variation and old style macaroon stuffed with orange and saffron marmalade are certain to further tempt the discerning diner. The exceptional drinks menu is also given special attention, with barmen working alongside chefs to create perfect accompaniments to the delectable food on offer.